If your equity gains are less than Rs 100,000 in a financial year, you can breathe easy, reports Tinesh Bhasin. After the Union Budget 2018-2019 decided to impose a 10 per cent tax on capital gains on equities, long-term investors receiving bonus shares could end up paying higher long-term capital gains (LTCG) tax. According to the new law, the cost of acquisition of the bonus share should be considered zero when calculating LTCG tax on it. This could lead to an investor paying much higher tax on selling bonus shares. Assume that a company announces a bonus issue in the ratio of 1:1. The investor gets one share for every share held, which s/he had purchased for Rs 300 some years ago. The current market price of the company is Rs 1,000, and on the issuance of 1:1 bonus share, the stock price goes to Rs 500. If the investor sells her/his shares, the tax on the additional shares (bonus) will be 10 per cent of the prevailing price or Rs 50 in the example. "Long-term investors need to split the calculation of bonus and original shares whenever they will sell in the future following the 'first in first out' or FIFO provisions," says Naveen Wadhwa, general manager at Taxmann.com. In this case, there will be no LTCG on the original share, according to the new provisions, and the prevailing price of the bonus share (Rs 500 in the example) will be considered as the gain the investor has made. 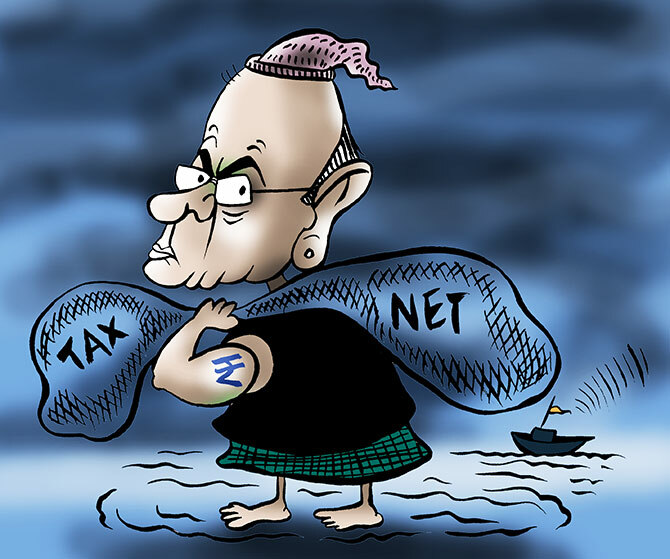 In the Union Budget, the finance minister introduced LTCG on equities. To give investors some relief, he also introduced a 'grandfathering' clause. The formula prescribed to calculate the capital gain or loss includes the share price as on January 31, 2018, which is also referred to as 'fair value'. In the example, assume that the market price of the company was Rs 950 on January 31. If the investor decides to sell the stock at the price of Rs 1,000 instead of taking the bonus, s/he will need to pay LTCG tax on Rs 50, the gains based on the LTCG calculations, which will be Rs 5 in this case. The difference between the taxation of bonus shares can create an arbitrage opportunity if the shares are held for the long-term -- over a year. For this, the 'fair value' has to be higher than the original purchase price and also lower than the prevailing market price. The investor can sell shares before the bonus date and pay LTCG tax and buy the shares from the market once the bonus issue is over. But if s/he holds on to the stock, s/he will need to pay a higher tax. Don't rush to sell the shares of a company in your portfolio if it announces a bonus. There are other factors investors need to consider. An investor doesn't need to pay LTCG tax if the cumulative gains on selling stock and equity mutual fund are less than Rs 100,000 in a financial year. If you want to exit any stock or equity investment, you can stagger it in such a way that your total gains are less than Rs 100,000 every year. Also, if the stock price of the company has doubled (or more than doubled) over what it was as on January 31, the investor will lose nothing. In the example, say, the company announces a bonus after the stock price reaches Rs 2,000, and the price after allotment of bonus share is Rs 1,000 each. In this case, there will be no tax on the original shares.